Hello Readers. At this time I am currently sitting in a train station in Villach, Austria. Slowly but surely I am making my way down to Split, Croatia for some fun in the sun. I thought it would be useful to all my fellow travelers and future travelers to put together a “tips & tricks” article for every country that I’ve visited to help you with some inside knowledge. So here we have it first country on the list, Tips & Tricks for Spain. I’m going to divide this into the three regions that I visited during my 11 days there. The first, sunny and busy Madrid! Madrid was a blast, the sights are breath-taking, the city is bustling and the people are proud of where they come from. No matter where you go the food is bound to be incredible and there’s constantly music coming from somewhere. 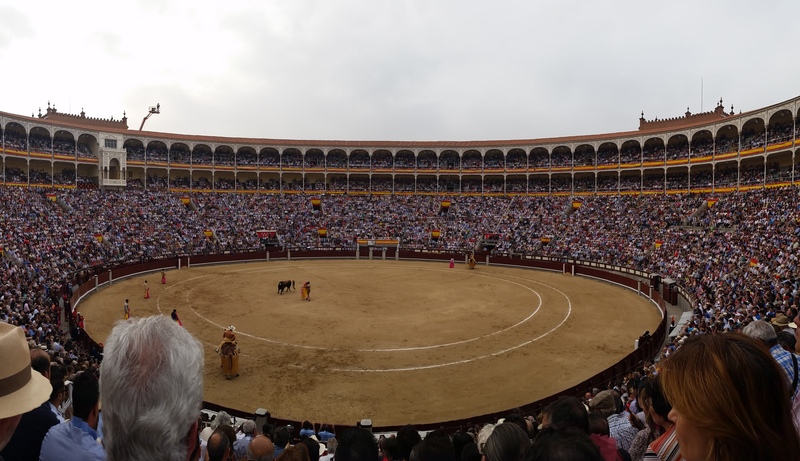 It was the perfect introduction to Spain and while there I gathered some useful information that I would love to spread to you guys! The next is to do a little research and if you are a student bring your ID! 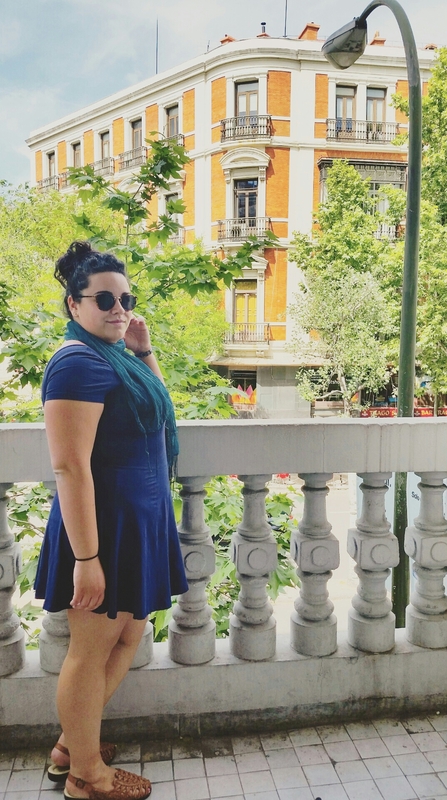 The Reina Sofia & The Prado (some of Madrid’s best art museums, I saw my first Picasso in person at the Prado, exciting stuff people!) both have free days. Take advantage of them! Why bother spending the 10+€ admission when you can do some planning, get in for free and then spend the money you would have spent on a ticket on some sangria and tapas. That’s what I’m talking about! The Prado is free for everybody Monday-Saturday from 6pm-8pm and on Sundays and holidays from 5pm-7pm. On November 19th, the Prado is free all day. The Reina Sofia is free Monday-Fridays from 7pm to 9pm, Saturdays from 2:30pm-9pm and Sundays from 10am-2:30pm. Also, the 18th of April, the 12th of October and the 6th of December admission is waived all day. Also, I am going to teach you a phrase that is EXTREMELY useful when spending time in Spain. “Tienes una descuento para estudiantes?” Do you have a student discount, it’s a quick sentence and often times you will find out that places will offer either free or reduced admission. All you need to do is show a student ID card. 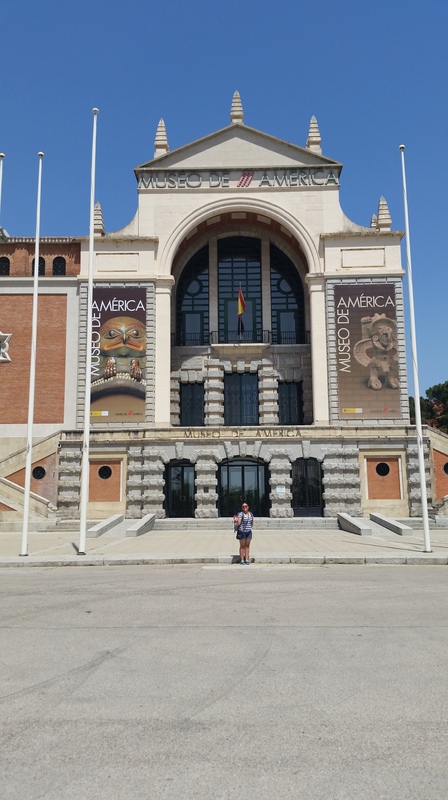 When I went to the Museum of the Americas, Av. de los Reyes Católicos, 6 (no it is not a museum boasting Bon Jovi & hot dogs and hamburgers) I asked the woman, not really expecting much, she told me that admission was FREE! Mind you I graduated almost two years ago, but that didn’t matter because I still had my ID. Thank you loophole! It may not seem like a big deal to pay a 6€ admission, but they do end up adding up. Not only that but you can totally spend your money on something else. “The discount doesn’t really matter to me”…..said nobody ever. Now let’s talk tapas. When I was heading to Spain everyone told me about the tapas. If you don’t know what a true tapas experience is let me break it down for you. So you go into a bar/café/restaurant and order a drink. Well, when you get your drink they also give you a plate of FREEEEEE food. If you haven’t already gathered the Portugee in me loves anything that’s free AND THEN throw some free food on top of it, hot damn that’s better than Christmas morning. Such a big sangria! Can easily be shared! Now a lot of places in Madrid will boast that they have delicious tapas and sure they probably do BUT the whole idea is to get a free plate of finger foods when you order a drink and often times you will see places charging for a drink AND a plate of tapas. So here is where I bestow my best kept secret for Madrid. If you want the real experience then go to El Tigre in Madrid (Calle Infantas, 30). They’re open until 2am, so once you have enough cerveza or sangria in you can stumble your way over to this glorious establishment. We went with a group of 10 so of course everybody ordered a drink and before you know it we had plate after plate being handed to us. Ham with cheese, patatas bravas (one of my favorites), frittatas with brava sauce on them, croquettes, finger sandwiches, and the list went on. It was the most glorious sight my inner fat kid had ever seen. Before we knew it, we had so many plates of food that we had no idea how we were going to finish them. Also the gentleman behind the bar fancied us so he was sneaking us plates of croquettes from the kitchen door, my kind of dude. I ended up spending 6 euros on a massive sangria and was given a feast. So take my advice if you want the authentic tapas experience, for a damn good price at that, with some amazing food, then El Tigre is the way to go my friend. Last but certainly not least, I’d like to offer a tip on one of the best places to stay in Madrid for budget travelers. Uhostel (Calle de Sagasta, 22) is the way to go. I’ve stayed in now 8 different cities and 8 different hostels and as of right now Uhostel is easily my favorite. The prices are some of the best in the city ($19 for an 8 bed dorm). I know what you’re thinking, 8 people in one room…..ugggghhh. But let me tell you, this room was SPECTACULAR. Not only did I have a balcony but I had TWO! Then let’s talk about the massive bay windows, you wanna talk about some beautiful natural light. This was it right here. It was also beyond convenient that the metro station is practically right outside the door and all the major sights are a 30 minute walk (Puerta del Sol, Plaza Mayor, etc.). Not to mention that Salamanca is one of the prettiest neighbourhoods in Madrid so to have a hostel that was affordable in this ritzy neighbourhood, it was simply all around perfect. But aside from the rooms being beautiful, the location is killer and a great price what really stood out for me was the staff. The people that work at that place are some of the kindest, most helpful people I met. They helped me with every single question I had. From directions, to where to find a birthday card, to finding a post office these guys were on top of their game. They also informed us about all the events they were having at the hostel each night. 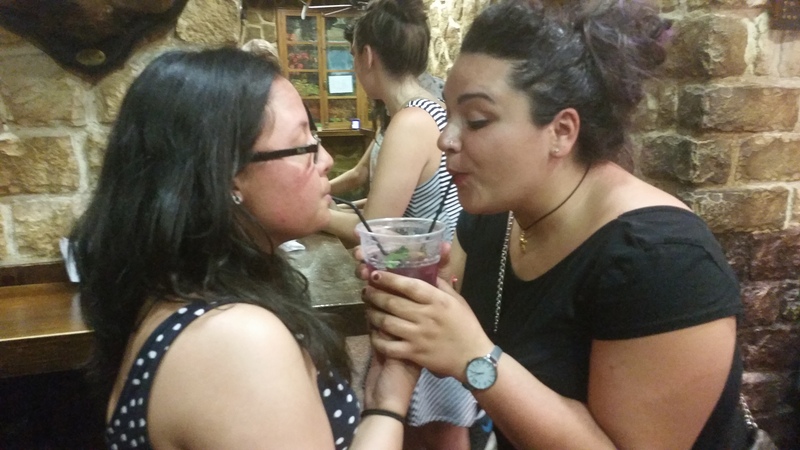 One night they told us that we could get a massive plate of paella, and a glass of sangria for 6 euros. Ummm, yes please. Wellll, while eating dinner we found out that it was Drinking Game Nighttttt, all you can drink sangria FO’FREEEEE. So I played flip cup and other various drinking games and made some amazing friends with other guests and the staff. Honestly, what could get better than that? Shout out to Yazan, Roberto, Erika, Lilli, Milan and Gonzolo, you guys were incredible and some of my best memories are because of you guys! Until we meet again homies! So there you have it, if you make your way to Madrid then I hope this proves useful to you! Let’s move on to my next destination, Valencia. Valencia was the escape from the city we were searching for. Although, I was not ready for the 104⁰F temperature and humidity but after making it through the most brutal winter the Northeast has ever seen I was still thankful. Now my time spent in Valencia was VERY brief so I only have two tips. 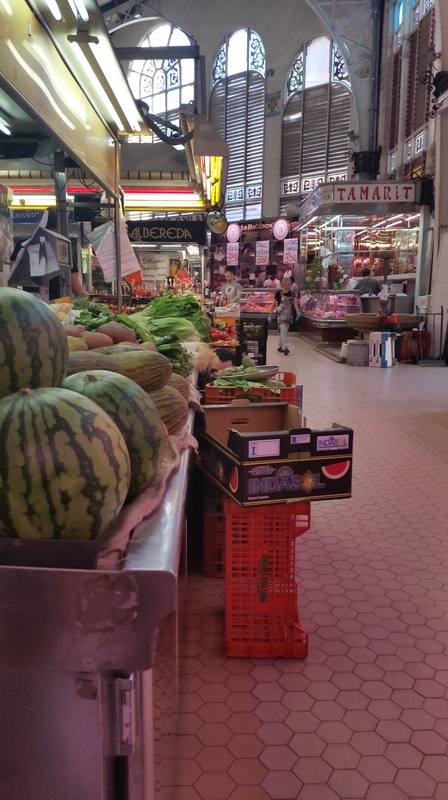 The first being to go to the open air market, Mercat Central (Plaza del Mercado, 6, 46001). This place is a treasure trove of local cuisine and fresh ingredients. Each stand sells items that look just as appetizing as the next. It is a rainbow of fresh fruits, fresh squeezed juices, vegetables, grains, spices, sweets, cheeses, baked goods, meats and seafood. Not to mention the prices are some of the cheapest I have ever seen in my life. My girlfriend and I bought enough food to last us through lunch, dinner, and breakfast for less than 10€. I AM NOT KIDDING PEOPLE. This is not a place that should be overlooked, I mean how often can you say you drank the most delicious orange juice from fresh squeezed Valencia oranges IN Valencia. If you decide to check out the dune beach of El Saler then do notttt consolte Google Maps when getting directions. My girlfriend and I decided it would be a nice afternoon if we rented some bikes and biked to the beach. What better way to check out Valencia right? WRONG. I looked up Google Maps for a route and they told me they had no bicycle route, okay, checked out the walking route 2 and half hours and 6 miles, OUF! But we didn’t have any other plans so we figured why not. Well this ride took us through 6 lanes of drivers in rush hour, through sketchy rotaries and some questionable neighborhoods. By the time I got to the beach I couldn’t feel my back side and was slightly dreading the ride back. But when we left we happened to notice a bike path. We thought “let’s just take this we can see the city and we can use that as a reference point as to where we need to go.” Well this bike path took us from the beach to our hostel door in 45 minutes. Along the way we saw a botanical garden, a gorgeous beach pier, and briskly trotted along right past the city traffic that 6 hours ago we were in the middle of. So my advice is to say SCREW YOU Google Maps, telling me there’s no bike route. Then let’s move on to good ole’ Barca. Barcelona is truly one of the most unique cities I had ever been to. Bohemia is alive in well in the city and creativity and uniqueness is embraced in full force. It is impossible to explore a neighborhood that you do not instantly fall in love with. The Catalonians certainly have a reason to be proud of this city because there is no other city quite like it. But there are some things that one should be aware of if heading to the lovely Catalonia area. First things first, pickpocketing does exist. It’s an unfortunate truth. My girlfriend and I took the train from Valencia to Barcelona and before we could even step on Barcelona soil, this woman made an attempt to pickpocket my girlfriend. We grabbed the metro from the train station to get to our hostel. This woman got on the metro with us and we thought nothing of it because the metro was already filling up quickly. She kept a jacket slumped over her arm and while people were cramming in she tried to unzip my girlfriend’s purse. My girlfriend quickly noticed because her hand was on her purse and pushed this woman’s hand away. The woman slithered out of the metro and it all happened so quickly that I hadn’t even noticed and I was standing right across from her. It wasn’t until we were at our hostel that my girlfriend told me what had happened. So it goes to show that they do work quickly and you can have your things taken from you in the blink of an eye if you’re not aware of your surroundings. Now granted my girlfriend did not have anything taken from her, but this does go to show that these kinds of things do happen and when people constantly warn you about it, you should take those warnings seriously. Make sure you know exactly what you have on you at all times, especially when in crowded areas. These people will search out travelers because they are easy targets. So next time you are waiting in a crowded metro, or walking down Les Ramblas, or quickly stopping to watch a street performance, remember this advice. Another helpful tip is going to see Park Guell. This gorgeous park boasting some of Gaudi’s colorful designs is not one to be missed. But what most people refrain from telling you is that in order to see the area of the park that Gaudi designed you have to pay 8€. Now here’s the thing, you can literally see the mosaic designs from the park paths so if you are on a budget that you can forgo dropping the 8€ and not feel bad about it at all. For an even better view of Barcelona, hike to the top of the park. There is a clearing at the top that gives you a gorgeous panoramic view of what Barcelona has to offer. That view is breathtaking and free! Speaking of Gaudi let’s get to my next tip. 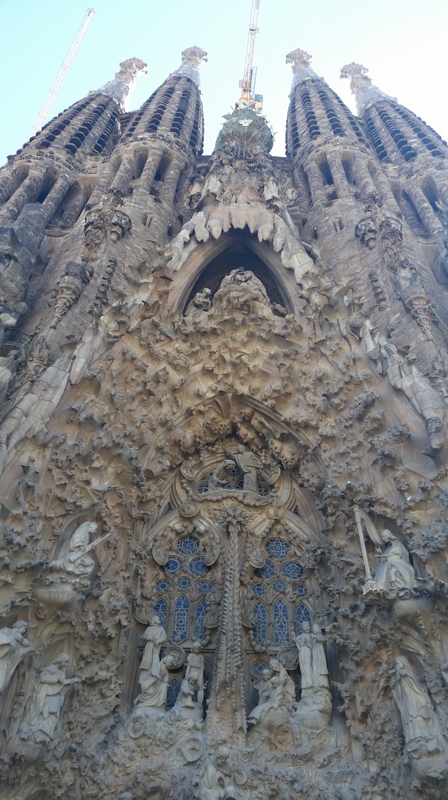 BOOK YOUR TICKETS TO SAGRADA FAMILIA AHEAD OF TIME! It takes less than 10 minutes to do and you can do it as early as the night before. What will take you 10 minutes will save you from waiting two hours in the hot Barcelona sun to buy your ticket there. One of the hostel workers told us that during the busy season the queue to get in can take as long as 4-6 hours, WHO HAS TIME FOR THAT? Also, there is a student discount, it only saves you 2€ but hey, it’s something right? A tip that most people wouldn’t think of is to work out how much a cab fare will run you before you get into the car. This one really played in our favor the few times we had to hop in a cab. I would flag a cab down and then in my best Spanish (which is certainly not perfect) tell him where we needed to go and work out a reasonable price. I cannot recommend enough that you do the same! The sad truth is that taxi drivers will take advantage of you if they think that you are a tourist that has no idea where they’re going and how long it should take. Therefore it is your responsibility to disprove that if you want to keep your money in your wallet and not in their fare. There was this one time we met some fun Canadians and decided we wanted to go out dancing. Well there was too many of us to fit in one cab so we split up. I told the cab driver where we needed to go and worked out a price that seemed fair for the distance we’d be travelling. Our new Canadian friends did not. We hopped in our cab, they hopped in theirs. The driver and I struck up a conversation in Spanish, he asked us what we wanted to do tonight so we told him we wanted to hit the discoteca (what they call the clubs in Europe). Antonio the cab driver ended up delivering us right in front of a lively club and assured us the night was young (it was 3:30am) and for us to have fun, the whole thing cost us 5€. Our Canadian friends did not have the same luck. Their cab driver took them somewhere outside of the area that we decided to meet up in and the trip cost them 15€. So word of advice, work it out beforehand people! I hope these tips prove useful to you the next time you visit Spain. I cannot stress enough what a magical country it was. Part of my heart was left there and I know it will not be long before I go there again. Safe travels my friends!